Successfully Added Fitness Tracker Lenovo HX03 - Bluetooth 4.2, Heart Rate Monitor, Sleep Monitor, Pedometer, Call Reminder, IP68, 0.96 Inch OLED to your Shopping Cart. The Lenovo HX03 is a stylish smart bracelet fitness tracker that lets you keep track of your exercise levels throughout the day. Coming with sophisticated smart health and fitness features, this fit band supports you to work towards a healthier future. An accurate heart rate monitor keeps you constantly up to date about your heart rate whilst its pedometer provides you with accurate data on the distance you’ve covered, steps taken, and calories burned throughout the day. With all this health information at hand, this fitness band allows you to analyze your workouts and regular daily movement thanks to which you’ll be able to fully customize and adjust your upcoming sporting sessions to meet the fastest possible results. This Lenovo fitness band features a strong Bluetooth 4.2 chip that supports fast and accurate data transmission between your fitness tracker and smartphone. It furthermore uses a minimum amount of power, ensuring that you’ll be able to take the absolute most out of your mobile phone and smart fitness wristwatch at the same time without draining your battery. The latter is, however, not something to worry about as it comes with a tiny yet powerful 85mAh battery that brings along a days’ worth of energy. Compatible with both iOS and Android smartphones, this fit band is sure to work with the latest mobile phones out there. Like the majority of high-end fitness bands, the Lenovo fitness tracker is capable of sending out call reminders to make sure you’ll never miss out on an important update again. Additionally, it also features a sleep monitor – guaranteeing that you’ll get the well-deserved rest needed in between your workouts to stimulate a fast recovery and muscle growth. Whether you use it for its abundance of smart health and fitness features, or simply as a smart wristband to keep track of time and incoming calls – this fit band is guaranteed to meet all your demands. Coming with a skin friendly and soft silicone strap, this fit band forms a comfortable fit for anybody out there. 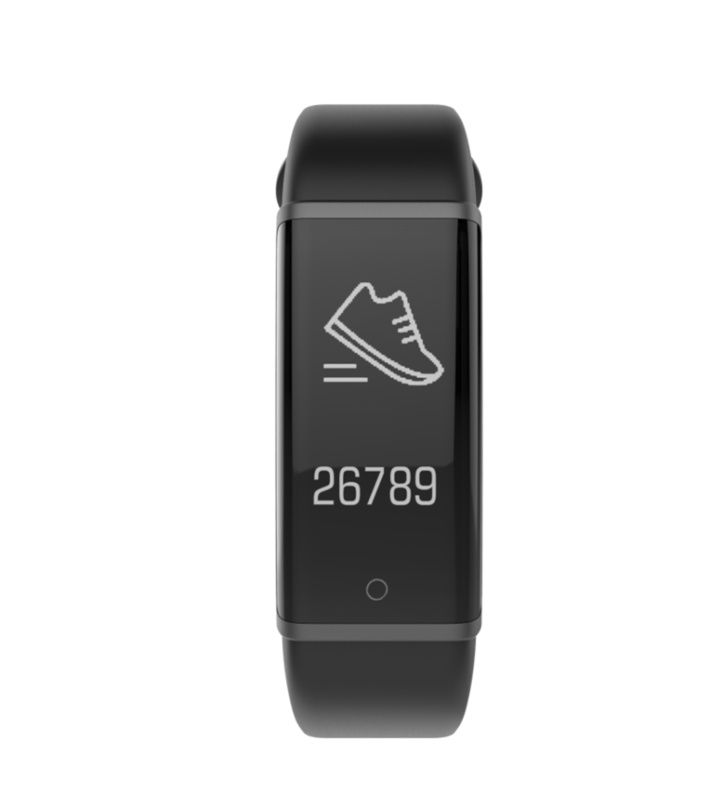 Within its soft band, this fitness tracker holds a beautiful 0.96-inch display on which it constantly portraits the time, date, and requested fitness information – guaranteeing that you’ll always have the needed data at hand. With its stylish design and high-end features, this fitness tracker is the ultimate smart health accessory for anybody that wishes to work on a healthier future. 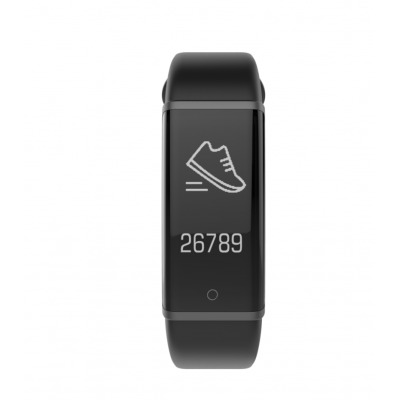 This sports tracker comes with a 12 months warranty, brought to you by the leader in electronic devices as well as wholesale electronic gadgets..